Beautiful flowers! Are there instructions for these please. The flowers were made using the Flower Punch Board by We R Memory Keepers so I really don't have any instructions other than was is printed on the board for the size. 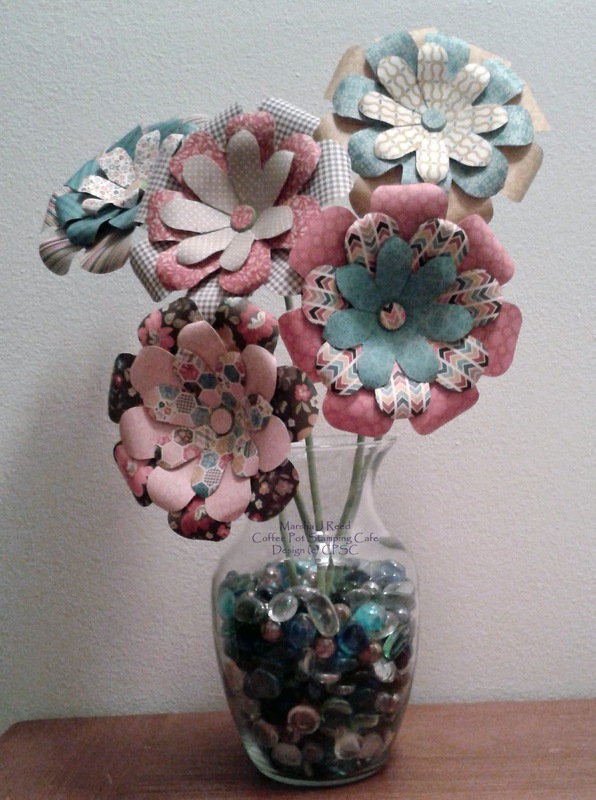 You can make 3" diameter flowers up to 22.5" diameter flowers. I've not tried the largest size but that is definitely on my list. I think it would look great hanging on my front door.